Israelis living in Judea and Samaria plan campaign against day-to-day discrimination. 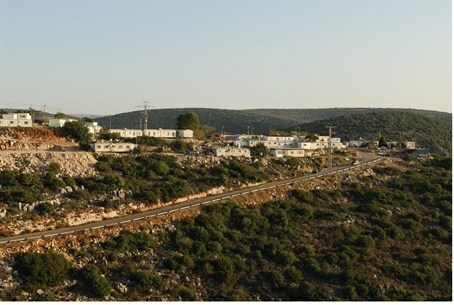 The Samaria (Shomron) Residents’ Committee has heard the story many times over the years. Now it has decided to take action against the phenomenon. The committee’s response to the issue “will show the normality of our life here,” he said. Attorney Doron Nir Tzvi said that in some cases, businesses that discriminate are opening themselves up to lawsuits. “If there was a condition made known in advance discriminating against residents of Samaria that’s one thing, and in that case the matter should be publicized to create a consumer boycott,” he said. “But when there was no explicit advance warning, either verbally or in writing, then there’s a violation of contract on the seller’s side,” he said. The Samaria Residents’ Committee is calling on members of the public to help with the anti-discrimination campaign by reporting any cases in which they faced discrimination due to their place of residence. Stories can be sent to office@vshomron.co.il, along with relevant documentation.